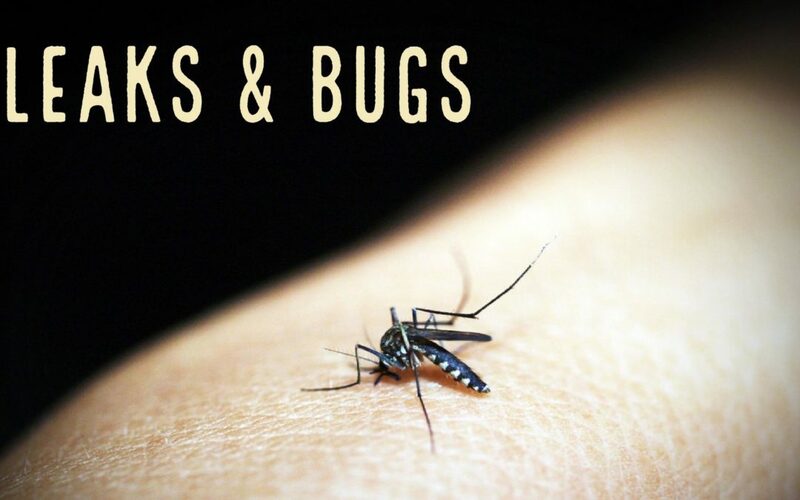 Mosquitos, Booklice, Camel crickets, Carpenter ants, cockroaches, mice, rats, silverfish, and termites all have one thing in common. They love moisture! Small and large plumbing leaks are pest’s best friend and probably your worst nightmare. Plumbing leaks are undoubtedly an inconvenience, but they can cause more problems than you probably realize. In addition to wasting water, plumbing leaks can create a paradise for household pests. You dread plumbing leaks, but cockroaches and other uninvited guests really love them. Who would have ever thought that your plumbing could be the reason behind why you have so many insects and rodents living inside and outside of your home? In order to avoid pest infestations, make sure your plumbing system and all of its fixtures are inspected, serviced, and repaired when needed. Some leaks are obvious, such as dripping faucets and leaking water heaters. Unfortunately, many leaks go undetected for years because the source of the leak is not visible. Plumbing you should keep an eye on include faucets, basement plumbing, water utilizing appliances, and water heaters. Consider taking time to walk around your home and property to look for any standing water in flower pots, old tires and birdfeeders, as standing water is a breeding ground for mosquitoes and other pests. If you know you have some household leaks and are looking for a reliable plumber, Churchwell Plumbing has been helping customers acknowledge, detect, and repair plumbing leaks in Lubbock for 28 years! We are committed to bringing our customers the highest quality service, technicians, products and industries leading technology. Give us a call today, we’d love to hear from you!